Would the Protestant Reformation have been as successful and widespread without the technology of printing? Probably not. Luther believed printing was ‘heaven sent’ to ‘spread God’s word and banish error’ (Pettegree, 2015). He certainly put it to good use. In the decade after 1517, in a battle of the doctrines, Protestant and Catholic, about 7,000,000 pamphlets were printed. Luther was the author of a quarter of them. Each pamphlet was reprinted multiple times in various parts of Germany. The word spread quickly and Luther made sure to write in German to reach a larger audience. 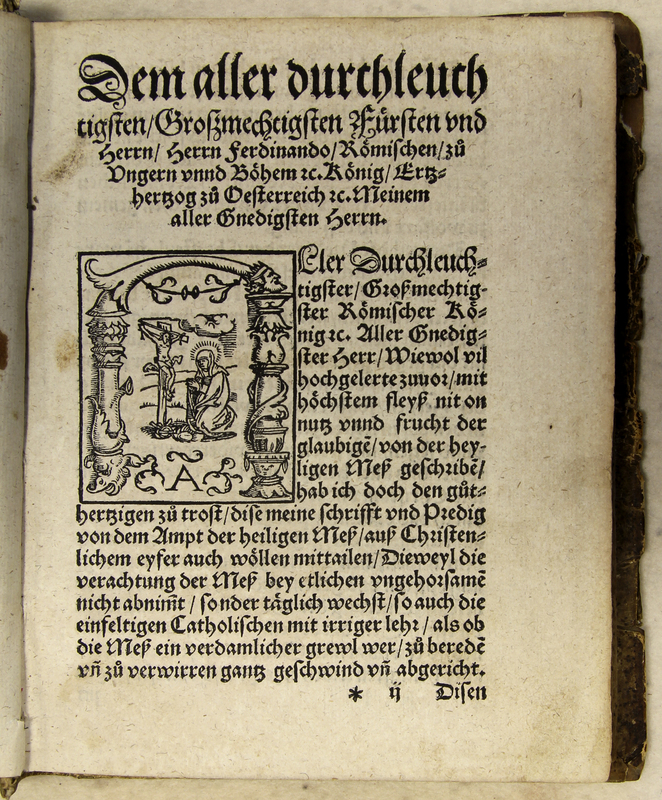 In fact, printing in the vernacular, as opposed to Latin, became more commonplace as this German-language volume by Catholic preacher and Reformation opponent, Johann Faber (d. 1558) of Heilbronn, attests. Johan Fabri of Heilbronn, “Was die Evangelisch Messe [sic] sei Grundliche unnd Christenliche Anzeigung,” ourheritage.ac.nz | OUR Heritage, accessed April 24, 2019, http://ourheritage.ac.nz/items/show/10329.